Update: The image shared below is now confirmed as a fake. 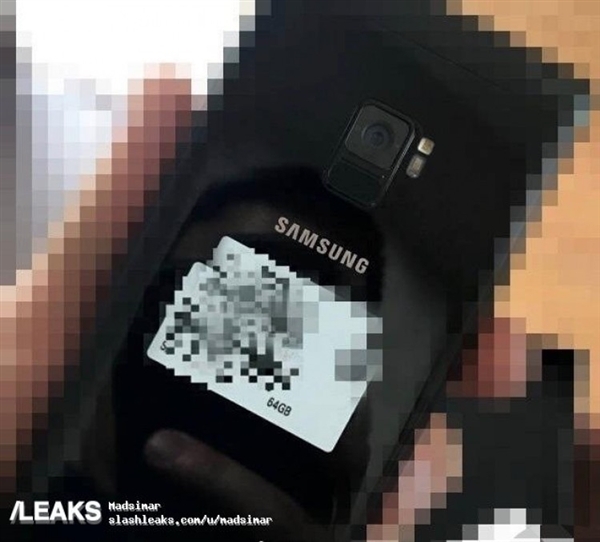 It’s a pixelated image of Samsung’s alleged flip phone. It’s always useful to keep salt nearby, as advised below as well. When we talk about next year’s Samsung Galaxy S9/S9+, not too many changes are expected. Samsung’s 2018 flagships will be incremental upgrades over their predecessors. This year’s Galaxy S lineup changed a lot. We got edge to edge screens and Samsung’s first successful device with Iris scanning. Now, even though Apple’s upped the bar with Face ID, right now it looks like the Korean tech giant’s got little tricks up its sleeve. Today, an alleged image for the Galaxy S9 comes to light. Take a look below to find out more. After a brief lull, the rumor mill’s back again. As we’re about to exit 2017, it’s time to start covering information related to next year’s flagship smartphones. First off the line are Samsung’s Galaxy S9 and S9+. The pair will kick off next year’s flagship smartphone race, and set the pace for the remained of Android flagships. The big talk in flagship smartphones at the start of this year related to virtual fingerprint recognition. 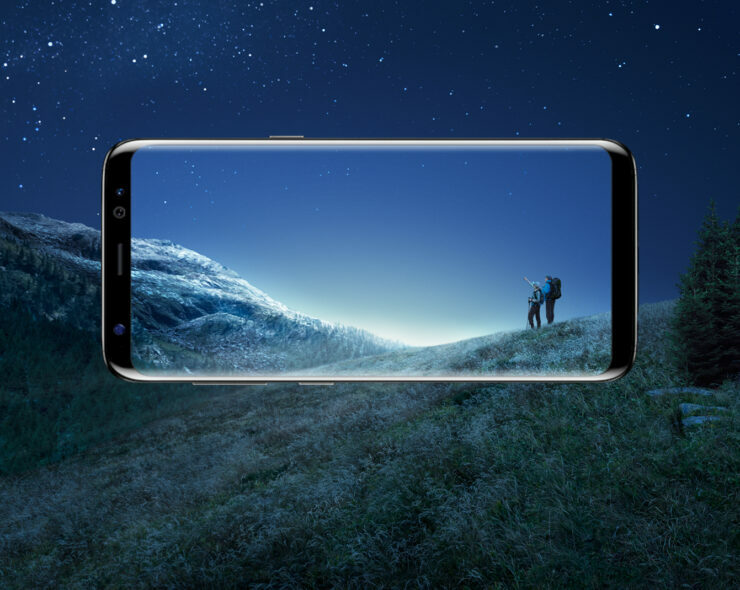 Samsung’s Galaxy S8/S8+ became the first phones widely rumored to come with the feature. But, Samsung failed to get the tech ready and instead we got a button free front facade. This forced the placement of the pair’s fingerprint sensor at the back, which looked rather thoughtless from Samsung’s end. Now we’ve got a fresh photo which allegedly belongs to the Samsung Galaxy S9. Originating from Slashleaks, it shows the device’s rear camera and fingerprint sensor in exactly the same positioning as a recent leak. An alleged screenshot of the device’s health app surfaced a while back showing the sensor under the rear camera sensor. This new position looks better than the S8’s but we’re not sure how Samsung intends to avoid smudging 100%. Take this leak with a couple of grains of salt. This image can very well belong to the upcoming Galaxy A lineup. Nevertheless, the fact that this exactly resembles an earlier leak is comforting news. It takes multiple sources to corroborate before the rumor mill generally starts picking up momentum for accurate leaks. Thoughts? Let us know what you think in the comments section below and stay tuned. We’ll keep you updated on the latest.